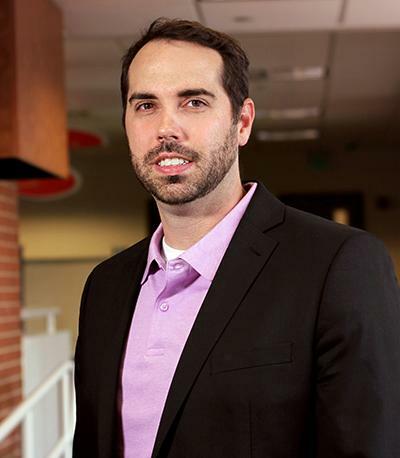 MINOT, N.D. – Michael Brooks took an unorthodox path to his current role as director of academic assessment at Minot State. The Florida native received his undergraduate degree from a bible college and two master degrees from a seminary before obtaining his Ed.D. — a doctorate in education that focuses on applying research to improve practices in an institution. While his doctorate may serve as the crux for Brooks’ job, the importance of his earlier education can’t be overlooked. “My undergraduate and graduate experiences really gave me a feel for how to value people, especially when you’re working with them. How to value what they do, how to be an active listener, and how to be a partner with them,” said Brooks. That partnership is something he looks forward to cultivating on campus. Brooks has previously worked in higher education roles as an institutional effectiveness associate and data analyst and in academic support. As director of academic assessment, Brooks strives for balance on campus while collecting and discerning information. Prior to making the move to Minot this past fall, Brooks, his wife, Rashele, and their children lived in east Tennessee. The Brooks family has taken advantage of the move by spending time in the city parks and surrounding area. Exploration for the family comes naturally, as it’s an important tenet in Brooks’ life philosophy.